The Horizons-2 satellite was launched by the Ariane 5 rocket on December 21, 2007. It was reported that Dr. Tadahiro Sekimoto, the first Chair of JFSC, passed away on November 11, 2007. I pray for the repose of Dr. Sekimoto's soul with all of you heartily. 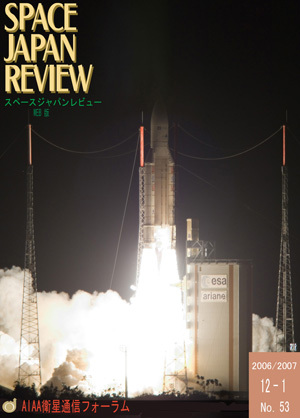 The Broadcasting Satellite System Corporation (B-SAT), based in Tokyo�fs Shibuya ward, is private-sector firm that was established in 1993 for the purpose of procuring and operating the BSAT-1 satellite for the analogue satellite broadcasts provided by NHK and WOWOW.�@�@This paper reports the trends of satellite broadcasting services in Japan.